Shake off your sleepy mountain town preconceptions because Gatlinburg is a place of excitement and adventure, especially for families. While it’s easy to stick around the bustling downtown, visit the arcade or Space Needle, or even behold the oddities at Ripley’s Believe It or Not, you should get outside and breathe in some of that misty, Smoky Mountain air. Here are a few suggestions for a historical, educational, adrenaline-packed family vacation under the Gatlinburg sun. 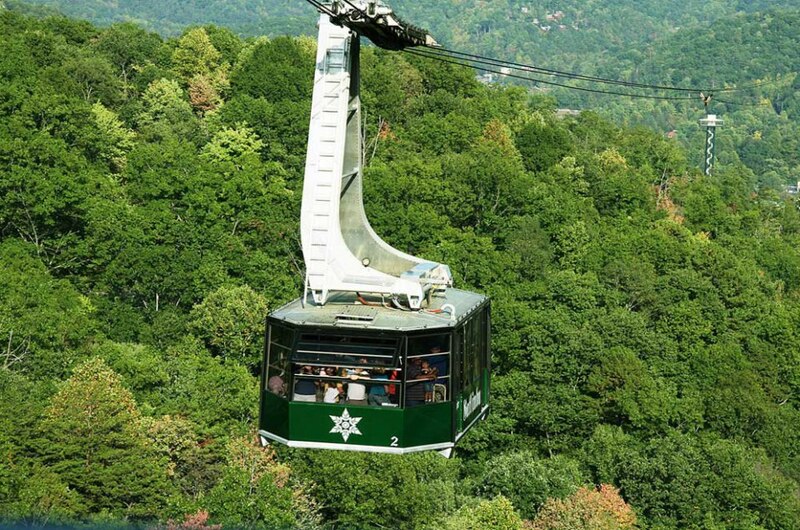 As a kid, one of the most exhilarating things I remember about Gatlinburg is riding in the aerial tram up to the ski slopes of Ober Gatlinburg, their four-seasons mountain resort. Feel the lurch as the gondola moves up the cable, and look around as the ever-changing leaves over the Tennessee valley envelop you. Whether you’re an avid skier or snowboarder, or just testing out the bunny slopes, Ober Gatlinburg is a nice place to walk around with a hot chocolate while the kids enjoy some snow tubing. Ziplining in the Smoky Mountains is an experience like no other in that it combines the natural beauty of one of the oldest mountain ranges in the world with the pupil-dilating adrenaline rush of flying down a mountain affixed to a steel cable. 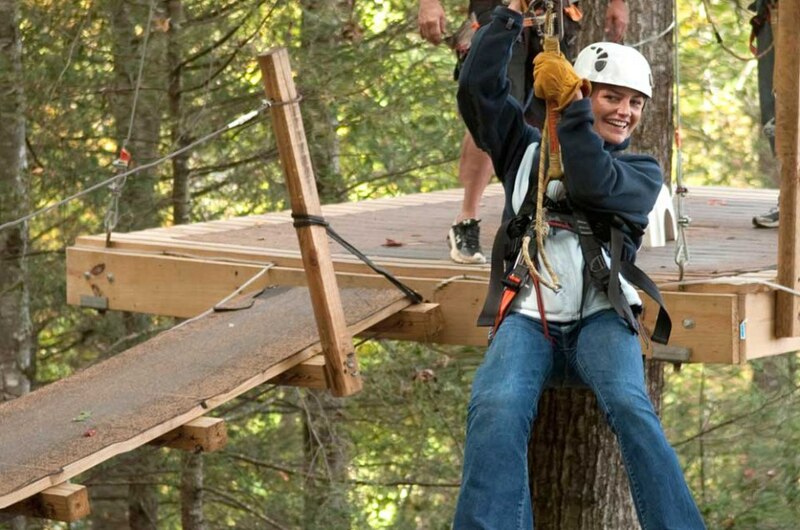 If you’d rather stay above the tree line, Zip Gatlinburg also has a high ropes course and suspended trampoline that will keep your children occupied for hours while getting some fresh air. You can go at your own pace as you weave through bridges, ladders, trapezes, and logs suspended above one of the most scenic national parks in the country. There are plenty of places to explore in the Smoky Mountains, and perhaps even stumble off the beaten path a bit, but to guarantee the most magical views, A Walk in the Woods has hiked these trails a million times and knows every hidden gem in the vicinity from secret waterfalls to emerald-green moss and ancient forests — the stuff legends are made of. One of the premier guide companies in the Appalachian region, they offer short one hour hikes all the way up to full day excursions tailored to your interests, whether that be a leisurely walk through the woods or a journey full of Cherokee lore and tall tales. With a chill in the air and the leaves making that satisfying crunch beneath your feet, it’s prime time to hunt for ghouls and goblins. Appalachian Ghostwalks explores the darker side of the Smoky Mountains by seeking out the eerie, the disturbing, and the unexplainable. Follow a guided lantern-led ghost walk through some of the most haunted sites in the Gatlinburg area. These trips are great fun for kids and adults alike, as there is plenty of spooks and scares along with cultural history. If your feet need a break, another fun way to explore is on horseback. Just like the original pioneers and our forefathers, get a lay of the land as you clop along in the saddle. Although you’ll be holding the reigns, your four-legged friend will be leading you through the best landscapes of the region so sit back, relax and enjoy the ride. 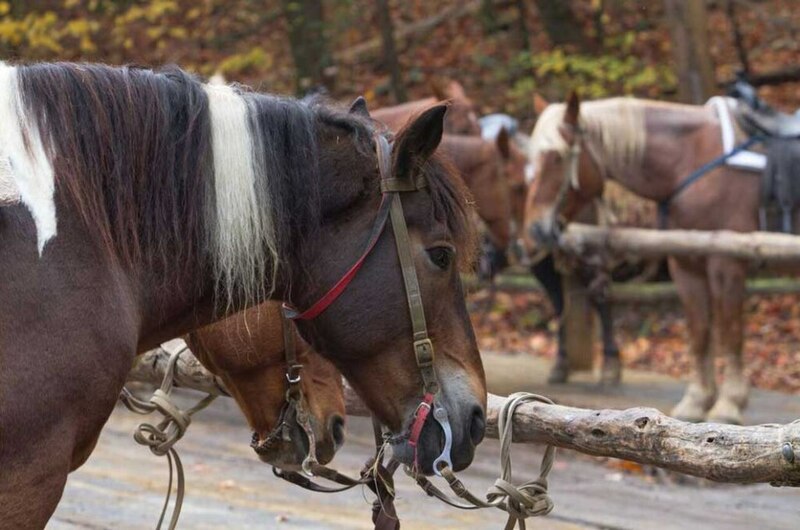 There are several companies around Gatlinburg that offer guided trail rides so you’ll never be too far from a stable.